Are you planning a kitchen remodel in Mt. Lebanon, Shadyside, Squirrel Hill, or another Pittsburgh area but aren’t sure how much to budget for your renovation? National remodeling estimates provide a rough idea of the price you’ll pay to remodel your kitchen, but they don’t take into account local factors that influence your total cost. Where Can I Find an Accurate Estimate? Remodeling’s 2017 Cost vs. Value report offers estimates for major U.S. metropolitan areas, including Pittsburgh. Many online calculators only provide information on budget renovations, which isn’t very helpful if you’re planning a luxurious kitchen transformation. The Cost vs. Value report offers information in two categories: mid-range and upscale. In the Pittsburgh area, the average cost of an upscale major remodel is $124,789. What Do I Get for $124,789? Remodeling bases their cost estimate on a 200-square-foot kitchen outfitted with 30 linear feet of top-of-the-line custom white cabinets. The upscale kitchen also includes a wall oven, commercial grade cooktop, built-in microwave and dishwasher. Tile is used throughout the room, including on the floor and backsplash. Countertops are stone and feature an undermount sink and water filtration system. What Other Factors Can Affect Cost? 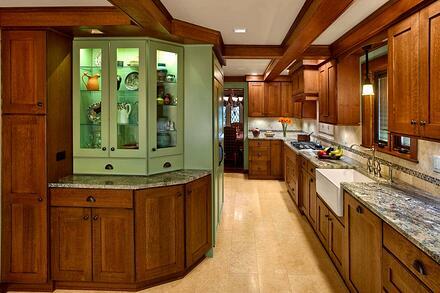 Custom Cabinets:There are no limitations when you choose custom cabinets. You select the style, materials and finishes you want. Unlike custom cabinets, stock cabinets come in a predetermined range of sizes. If a cabinet doesn’t quite fill the available space, you’ll need to install a filler piece to close the gap. Because custom cabinets are designed specifically for your kitchen, they’re built to fit the space perfectly, eliminating the need for fillers. High-Tech Appliances: From ovens that can be controlled remotely to dishwashers that let you know when a load is finished, today’s high-tech appliances make cooking and cleaning less of a chore. If “only the best” is your motto, you’ll want to consider the cost of top-of-the-line appliances when you prepare your budget. New Spaces: Kitchens in older homes may have been functional when they were first designed, but many of them just don’t have the features modern homeowners want. 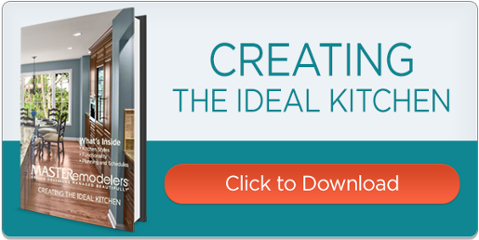 Whether you plan to expand your kitchen into another part of your home or build an addition, creating new spaces can increase the budget substantially. Additional Plumbing and Electrical Work: Changing the location of appliances often means that plumbing lines must be moved, which can increase costs. When plumbing lines are relocated, new electrical outlets and circuits may also be needed. Luxurious Features: Do you want an island big enough to seat 12, two refrigerators, radiant heating in your floors or custom-made ceramic tile? Luxurious features make your kitchen stand out, but they also increase your budget. Need a little help estimating the budget for your Pittsburgh kitchen remodel? We’ve helped hundreds of Pittsburgh area homeowners transform their living spaces and we can help you too. Give us a call, and we’ll set up a time to visit your home and discuss your vision for your kitchen.